It started with a BBC Radio 5 Competition in 2006. The brief was to write a play about sport that lasted just ten minutes – five of the hundreds of entries, including mine ('Skinny Barlow') were selected to be produced for radio. And that was it, I decided I ought to write plays. I did a course at West Yorkshire Playhouse ('So You Want To Be A Writer?' with Alex Chisholm and Mark Catley), spent a year learning about narrative structure and character arcs, and I was away. Sort of. I had a couple of small plays shown at the Playhouse, written in collaboration with Dom Grace, before coming to the conclusion that since I'd spent the best part of 30 years playing and writing music I ought to incorporate song into the theatre-writing. Unfortunately, putting songs into plays means you have to use the term 'musical theatre', thus conjuring up tacky over-blown Broadway jazz-hands showstoppery. I wrote a musical called Armley: The Musical purely for the satisfaction of having written something called Armley: The Musical. If you ever lived in Armley you'd understand. Through that production I met Rod Dixon, Director at Red Ladder Theatre Company. We talked in the pub about creating theatre that could be a hybrid of musical, agit-prop play and singalong panto. Several years down the line there've been four or five such shows, each getting a little bigger (and more unwieldy) than the last, but each a delight to be part of. 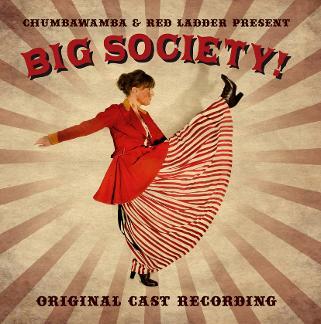 After the last one – Big Society, which ran for three weeks at Leeds City Varieties with Phill Jupitus in the lead role – Rod and me stopped for breath and thought about doing something completely different, something that still involved music and politics. Thus Wrong 'Un was conceived as an idea born of form, not of content – a one-woman acapella musical. Plays & Musicals has a list of written plays and a recording of the 15-minute short, Barbara Taylor-Bradford & Alan Bennett On A Bench On Armley Moor. Wrong 'Un lists upcoming performances of the latest show.